Camcorder videos usually need to be edited before they are watched on TV, streaming online, or burned to DVD as gifts. Sony Vegas is the most powerful camcorder video editing software in the market. It supports most of video formats recorded by camcorders, especially the Sony camcorders from SD to HD camcorders. Sometimes, importing camcorder videos to Sony Vegas is not so easy. 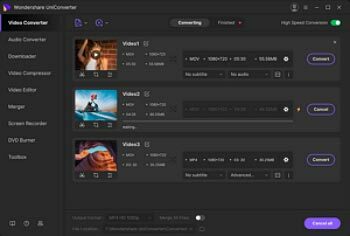 This article will help you find the answer about how to import camcorder videos to Sony Vegas, divided into DVD camcorder video to Vegas and non-DVD camcorder video to Vegas. First, check out what you'll need to import DVD camcorder video with Sony Vegas software. DVD drive (on most computers, if not, see import camcorder video using a USB or fireware cable). Step 1 Place a finalized recorded DVD in the computer's DVD drive. Step 2 Run Sony Vegas software and go to the Project / Import DVD Camcorder Disc. In some versions of Vegas, you will find this under File/ Import/ DVD Camcorder Disc. Step 3 The video clips will be saved to your computer as MPEG2 (*.mpg) files. Step 4 Go to Project Media, locate the *.mpg video files which have been just imported. You cannot import commercially-produced DVD for those discs which are burned with copy-protection. You need a powerful DVD converting software to copy the videos first. DVD recorded using avchd camcorders ( MT2S files) are not recognized through DVD Import. Consult the camcorder's manual for help, or convert MT2S files to all popular video formats. DVD-RW camcorder discs shot in VR mode can only be imported by Vegas if you are using Windows XP Service Pack 2 or greater. Besides DVD camcorder, there are also other types of camcorders such as hard disk drive camcorder, flash memory camcorder, miniDV camcorder, and so on. Taking hard disk camcorder for example, recent versions of Sony Vegas allow you to import files directly to the computer. The detailed steps will be a little different in each version, but the same principle applies in each version. Step 1 Go to File/Project and look for Import (you might also see Import AVCHD Camcorder). Step 2 Locate the camcorder within the Source menu. Step 3 Within the Destination menu, pick a location to move the files. Step 4 Click OK. This will begin the process of moving files from camcorder to computer. As the same as importing DVD camcorder videos to Vegas, once this process is completed, you will see your files in the Project Media window. Note: If you do not see these options within your version of Vegas, you will need to use the default software coming with your camcorder to move files from the camcorder to the computer first and then import videos to Sony Vegas. Following photo/audio/video formats are supported to import to Sony Vegas. Check it out if your camcorder video can't be imported to Vegas. And if necessary, use the video converter to get Vegas supported videos first. Note: Sometimes you need software to view what's the real codec for the video to import to Vegas. To do so, use the GSpot to find what video codec is used and install corresponding codec to import to Vegas. Download GSpot here. And if you need to convert video to Vegas support format, then download Wondershare UniConverter (originally Wondershare Video Converter Ultimate) here.